Provides a professional look for your MikroTIk RouterBOARD 493-series routerboard. 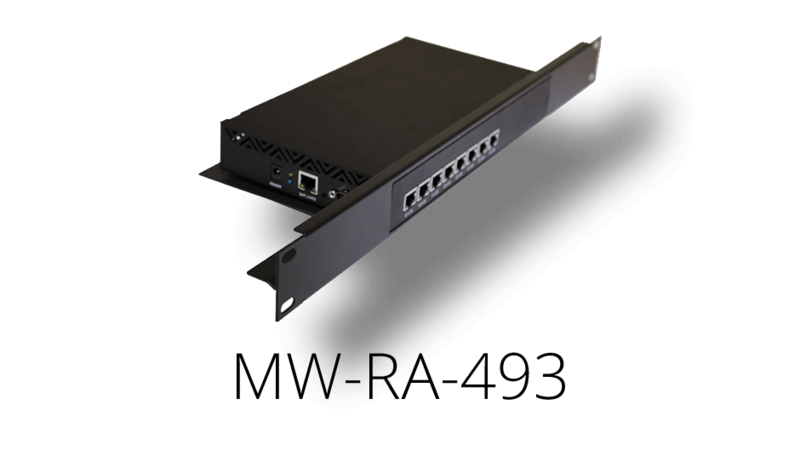 The best-priced and best looking rackmount solution available for MikroTik RB/493-series routerboards. Our adapter allows you to use the Maxxwave RB/493 indoor case (SKU: MW-CA/493 ST) and make it rack-mountable. Simply, remove the wall mount or desktop feet from the bottom of the case, slip into this adapter bracket and screw in. Uses the original wall mount screws that came with the Maxxwave RB/493 case. Combine this adapter with the Maxxwave RB/493 indoor case, add the MikroTik RB/493G routerboard and you have the most affordable 9-port gigabit router solution in your server rack!